How do you know? for example in the Value proposition box, once we enter the value proposition that we believe is created by our solution we need to ask the question how do we know that it creates that value? 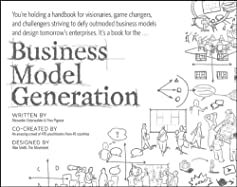 We need to ask our potential customers the question so we can have a validated learning on each of the elements of building the business model. We have the tools, techniques and measurements that are available that enables every business to experiment, create a hypothesis, test if that is true and then iterate over the Build-Measure-Learn cycle. But overall a good turn out, good questions and good discussions. I was encouraged to see a lot of new faces. I think we are starting a movement right here in Reykjavik. Lets build sustainable businesses by sharing and learning together.